If you decided that reading the 4,000 or so words in our Pixel and Pixel XL review wasn’t something you had time for, maybe this post will give you a quicker overview that will get you on your way to making a purchasing decision. Like we have done with most flagships this year, we have 5 straight forward reasons you may want to pick up one of Google’s new flagship offerings. From the excellent camera to the best-in-Android software experience, there is a lot to like with the Pixel and Pixel XL, even if they are missing a few features, like true water resistance and an SD card slot. I don’t know that I would call either the “perfect” Android phone, but they sure are my favorites at the moment. Here are 5 reasons the Pixel and Pixel XL are worth buying. Google absolutely nailed the camera experience on the Pixel and Pixel XL. Each phone features the same 12.3MP Sony camera (f/2.0, 1.55um) that is easily one of the best in the business. In fact, I’d put this camera right up there with Samsung and Apple’s best. The cameras in each phone are super quick to load (double-tap the power button), quicker to focus on subjects, and can shoot dozens of photos in seconds. With the Pixel cameras, it’s all about speed, which to me is the most important aspect of a 2016 smartphone camera. Everyone’s smartphone camera is capable of taking a good photo at this point when the conditions are right, but it’s the speed that allows you to snap those good photos more often than not. We’ve already done a full Google Pixel camera review that includes both a video overview and a bunch of samples. To get those details and see for yourself how good the Pixel camera is, head over to this link. 2. Who has better software? As an Android fan, I don’t think there is a better Android experience than Google’s current Nougat build. It may not be as feature-packed as the skins from Samsung and LG, sure, but it has just the right amount of extra goodies and the performance to top it off. With the Pixel phones, Google is kicking their software approach up a notch by including exclusive features like Google Assistant, Night Light, a motion gesture on the fingerprint reader, access to the Pixel Launcher, and more. So not only do you get the “pure” or “stock” look to Android that is often preferable, Google has found additional ways to improve on that with a handful of special Pixel-only features. Assistant, which is Google’s Siri-competitor, is going to take some time to get better, but has already proven to be very useful on the daily for setting reminders, checking weather, turning on alarms, and getting answers to general questions. Night Light, which is a night mode that turns your screen an amber-ish color, has me wondering why all phones haven’t had this for years. And even the Pixel Launcher has become a really nice simple launcher that is controlled with gestures. While Samsung’s latest TouchWiz skin on the Note 7 was fabulous and might have been the best Android setup, that phone no longer exists. That leaves us with older phones or the Pixel phones. To me, the Pixel phones are the current best version of Android. For years, I have complained about companies only producing one oversized phone per season, leaving those of us with a need for a smaller phone without many options. 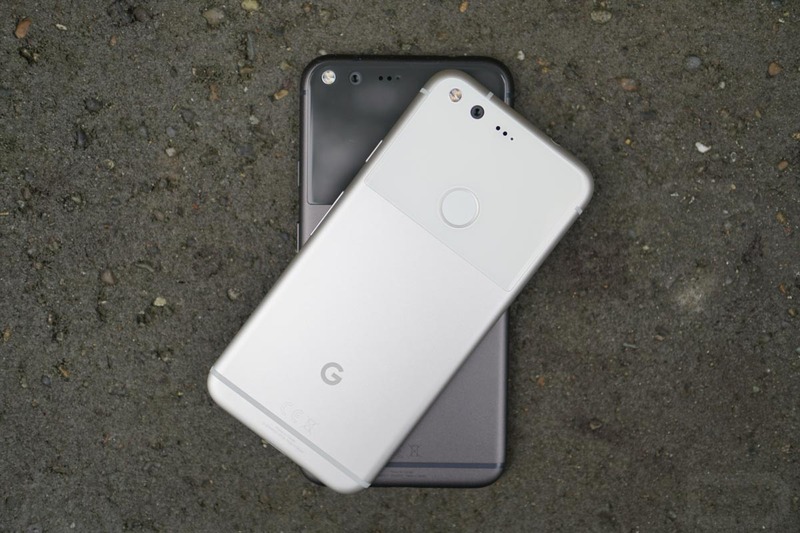 To buck that trend a bit, Google has adopted Samsung and Apple’s approach to phone releases by giving us two serious choices of the Pixel and Pixel XL. The Pixel weighs in with a display of 5-inches (1080p) and a battery of 2770mAh. The Pixel XL clocks in at 5.5-inch (QHD) and a battery of 3450mAh. And those are really the only noticeable differences, which means you get the exact same powerful and efficient phone in either size without having to give up any key features. In the past, we have seen companies release Mini or Compact phones, but those often lacked high-end specs and were typically sold as mid-range phones to fill a particular market. 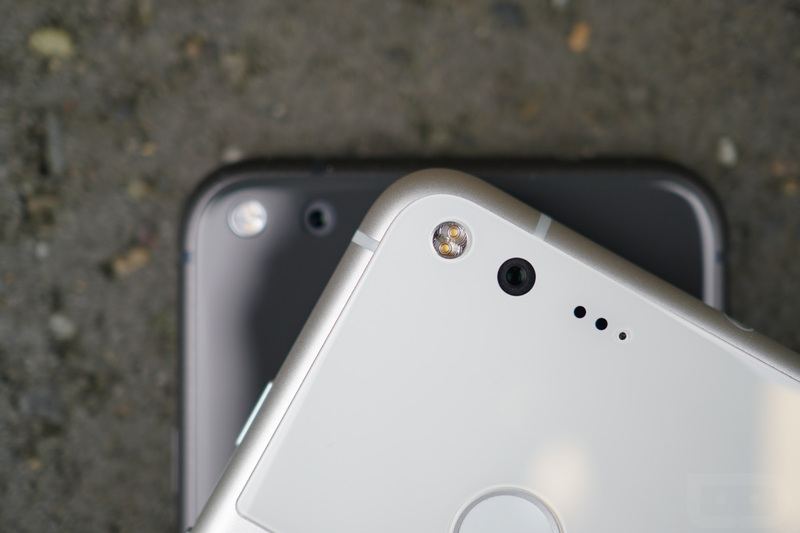 The Pixel is by no means that and really is just a slightly smaller version of the slightly larger XL. You have the same Snapdragon 821 processor, 4GB RAM, metal body, fingerprint reader, camera, etc. As you guys know, I’ll probably buy unlocked phones for the rest of my life. I buy them because I switch carriers all of the time to test networks and specific features and to try and figure out which is the best deal at the moment. I also buy them because unlocked phones don’t have carrier interference in most situations, they aren’t loaded up with bloatware, and they are brand-free. The Pixel and Pixel XL are sold fully unlocked with connectivity on all major networks no matter where you buy them from. You can even buy a Pixel from Verizon, walk it over to a T-Mobile store, and get service up and running in minutes. These phones just work everywhere, so you always have that flexibility should you want to switch up plans from month to month or travel abroad. It’s shocking to think that there are still phones in 2016 that are locked to specific carriers. If you buy a Pixel or Pixel XL, you won’t ever have to worry about that. 5. Software updates when you want them. So far, our understanding of the Pixel software update situation is that they will be treated very much like Nexus devices. That means monthly security patches and quarterly system updates. 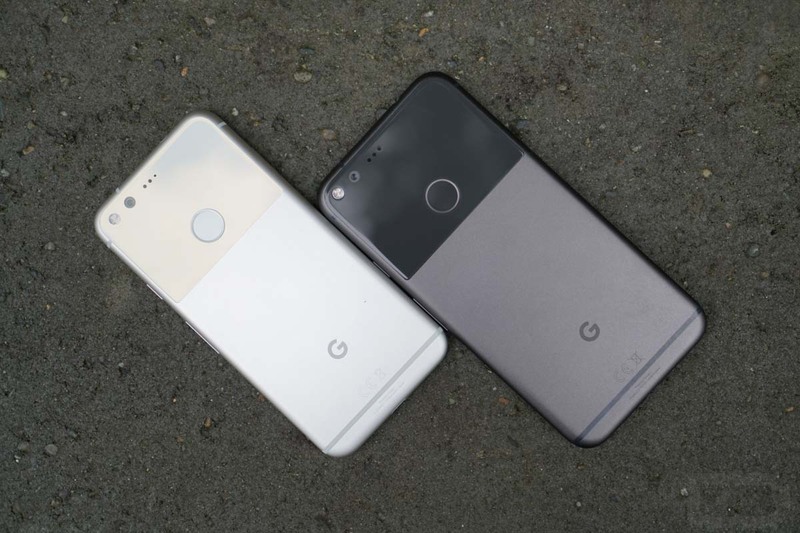 Verizon has also already said that it will update its Pixel phones at the same time that Google updates its unlocked versions. Why is that important? If you own a Pixel or Pixel XL, you won’t have to be the guy complaining in the comments about it being 6 months before your phone gets the next big version of Android. Instead, you may already be running it. Considering another phone? Feel free to take a look back at 5 reasons to buy other phones, like the Galaxy S7, OnePlus 3, or Moto Z in previous installments of this ongoing series.